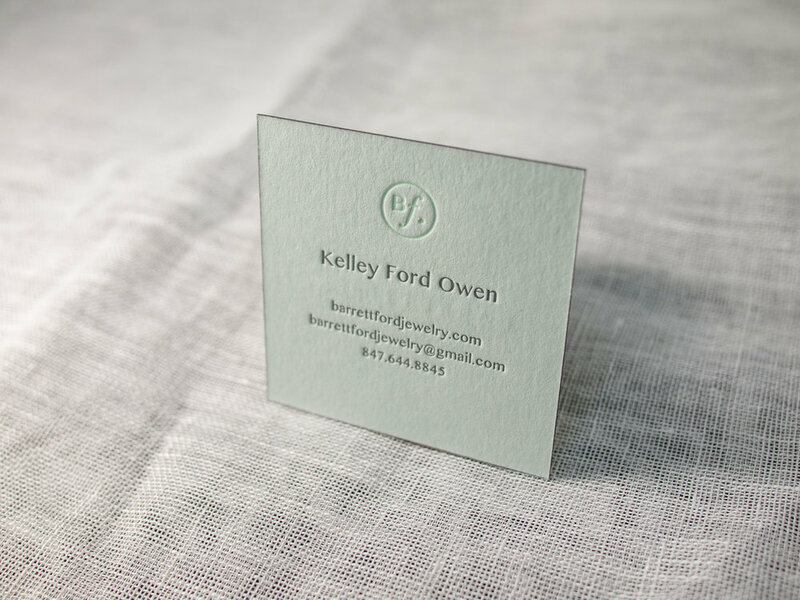 Solid floods of color can be tricky with letterpress. But if you play your no-pun-intended cards right, you can get great results. Lighter/brighter colors tend to print more evenly. And die-cutting the cards rather than knife trimming can help keep the raised unprinted paper from getting squished or scuffed. For these square cards we printed for Birmingham Developer, Ford Waters, we printed on separate sheets of 300g Fluorescent White Lettra, then duplexed and die cut. Design was done by long-time Parklife friend, Chad Martin of The G Brand. Posted in business cards and tagged with duplex, square, die cut, red, flood, fluorescent white, black. February 16, 2016 by Travis Friedrich. Back in April of 2015 we printed some excellent business cards for designer Amanda Benincasa. And then a few months later, she asked us to print her wedding invitations. 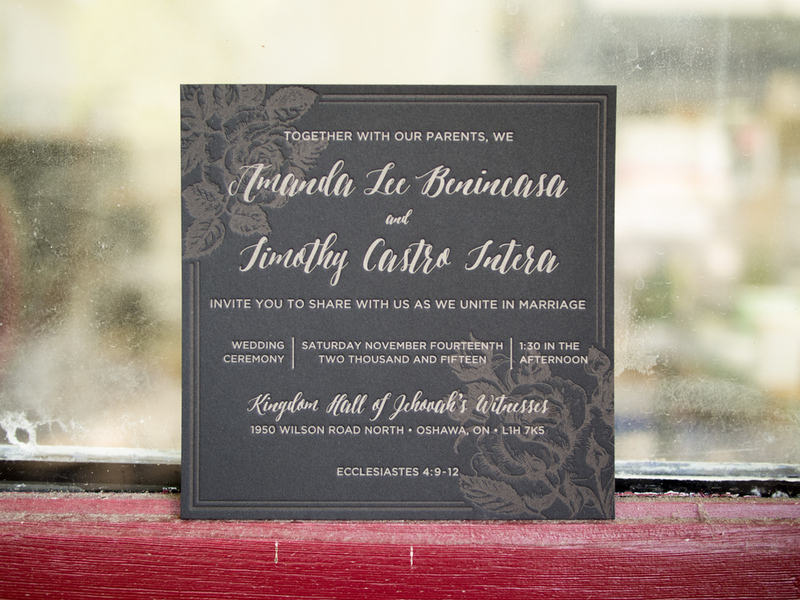 The background floral image is actually just Pantone black ink — but when printed on the black Rising Museum Board, it creates a sort of bronze effect (take a look at our tintype photo frames for the same combo in a different setting). And for the text, we did a custom mix of gold and silver to match Envelopments Champagnium stock. For the reply cards we used the same ink but with our pearl white cotton paper for easier writing. Posted in wedding invitations and tagged with black, gold, silver, champagnium, rising museum board, square, reply card, floral, pearl white, 300g. February 2, 2016 by Travis Friedrich. Check out these business cards and display cards for Chad Gorges, a Kansas woodworker and furniture builder. 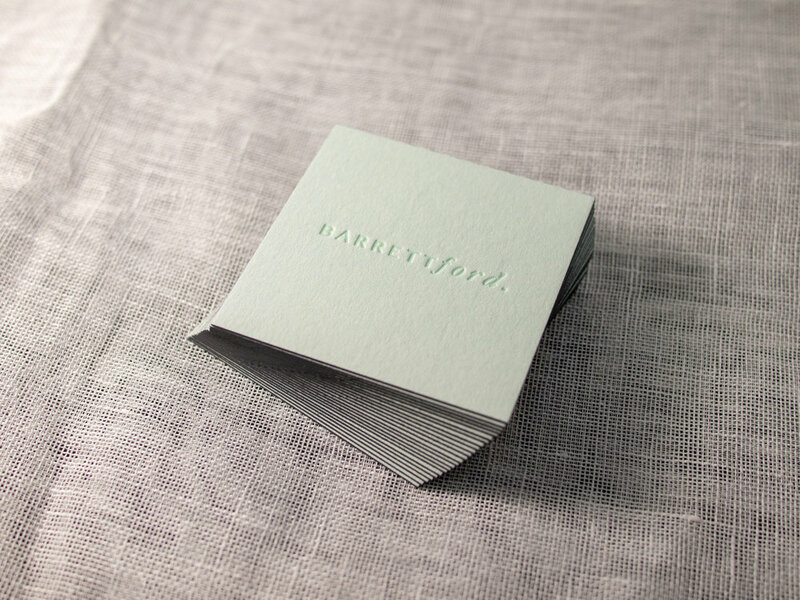 We printed both on thick 600g Fluorescent White Lettra with black ink and a custom Periwinkle. Chad's work is really amazing. A few photos are below, and a bunch more are at his website, www.chadgorges.com. 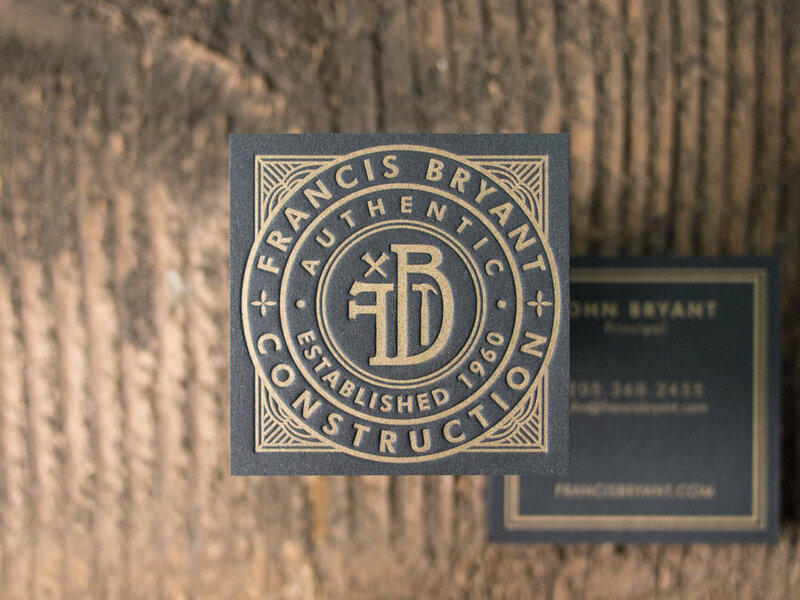 Posted in business cards and tagged with fluorescent white, black, periwinkle, square, woodworking. November 17, 2015 by Travis Friedrich. 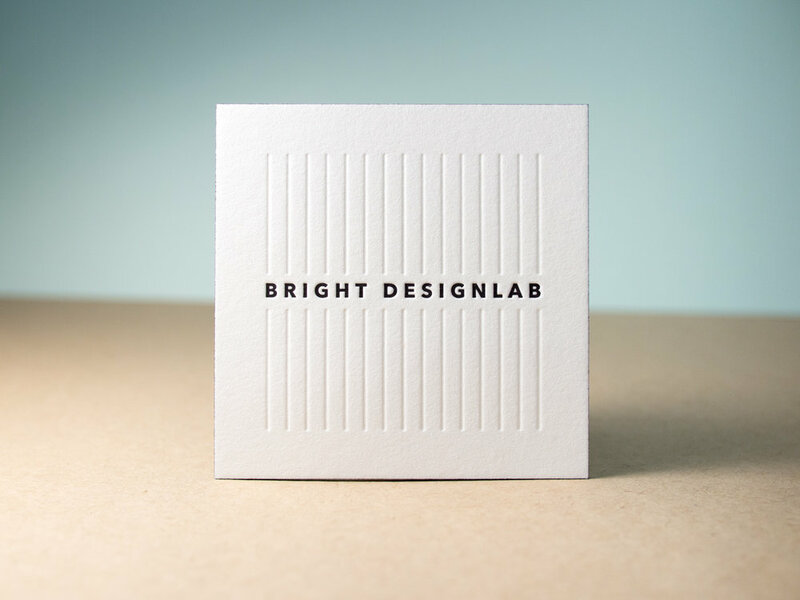 For designer and event consultant, Ilaria Ceresoli and her business Just a Dream, we printed these super-deluxe foil + letterpress business cards on 100% cotton Somerset paper. Since Ilaria designed these with foil and a blind deboss on both sides, we printed the front and back on separate sheets of 330g Somerset paper, then duplexed them after printing so that the impressions didn't get flattened. Posted in business cards and tagged with blind deboss, gold foil, radiant white somerset, duplex, square, 330g, 660g. November 3, 2015 by Travis Friedrich.